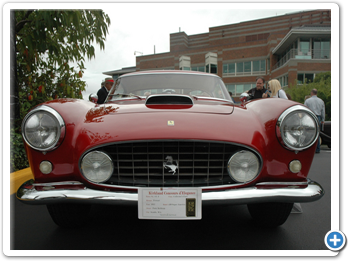 Putting it in perspective, the 1957 Ferrari Superamerica was the fastest and most expensive luxury sports car of its day. Its price, $16,800, seems like a bargain now, but that amount could have instead purchased a Rolls Royce, two Cadillac Eldorado Special Biarritz convertibles, two Mercedes Benz 300SL Gullwing Coupes, or 16 BMW Isettas. 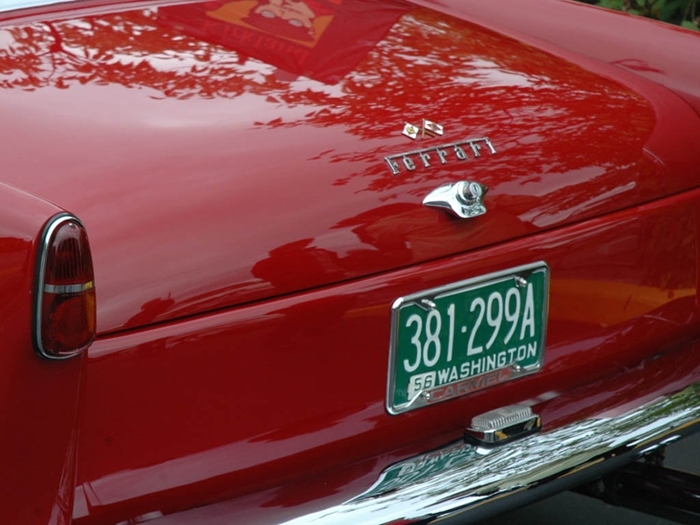 Ferrari had in 1951 begun producing the America, a limited-production, high-performance, grand touring model. 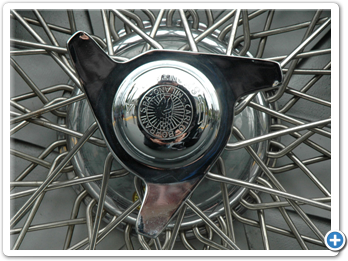 Manufactured as the Type 340, 342, and 375 from 1951 until 1955, the America was followed by the Type 410 Superamerica, manufactured from 1956 until 1959. Finally came the Type 400 Superamerica, from 1960 until 1966. These cars had low production totals: Only fifty-two Americas were produced, thirty-eight Type 410 Superamericas, and approximately fifty Type 400 Superamericas. 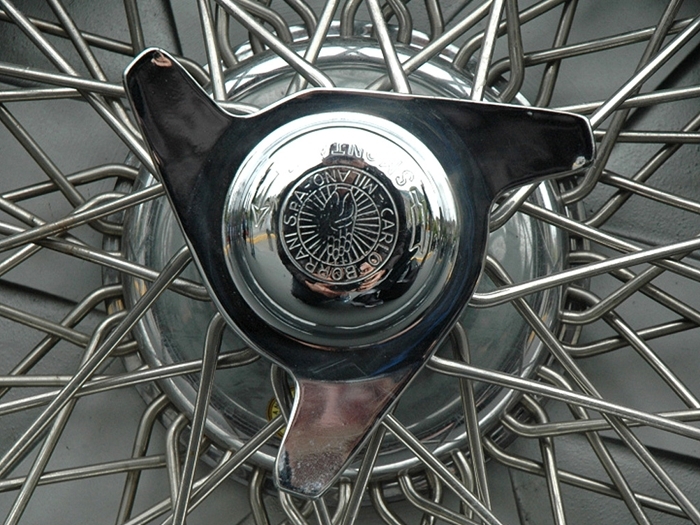 The 410 was available as a Series I, II, or III, with production totals of 15, 8, and 15 cars respectively. 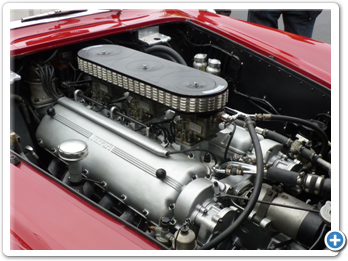 Powering these cars were “long block” V-12 engines designed by Aurelio Lampredi, the famed automobile and aircraft engine designer. 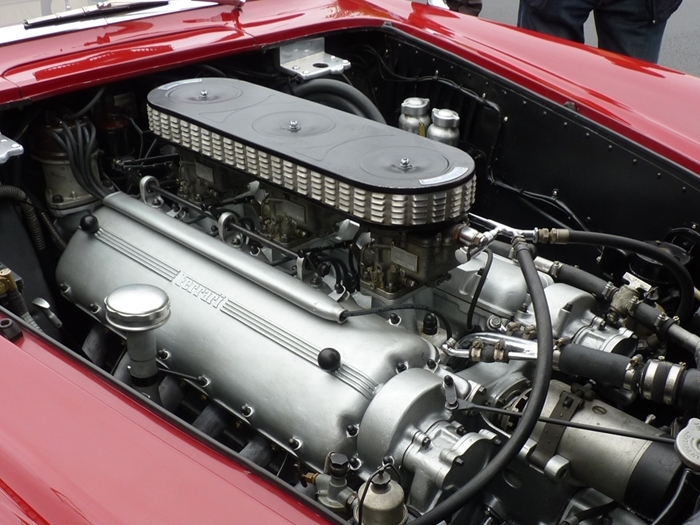 The Type 340 initially produced 220 hp; by the time of the Type 410, horsepower had been boosted to 340 and later to 400. 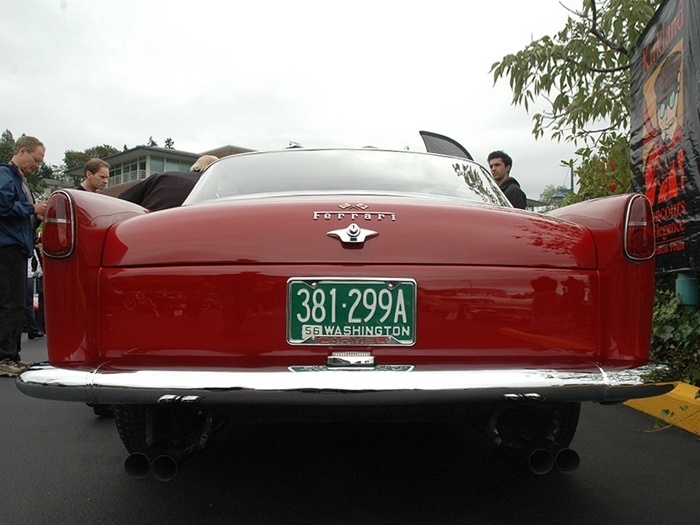 All America and Superamerica models sported custom coachwork, usually by Pinin Farina. 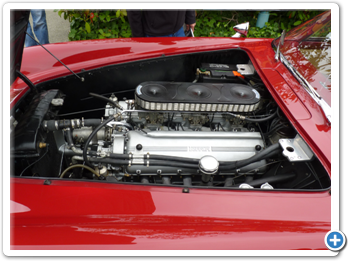 Our feature car is a Type 410 Series III with triple-Weber carburetors, shown at the Kirkland, Washington Concours d’Elegance in 2010. Fielding questions for its owner Patty McBride was John Knudson. 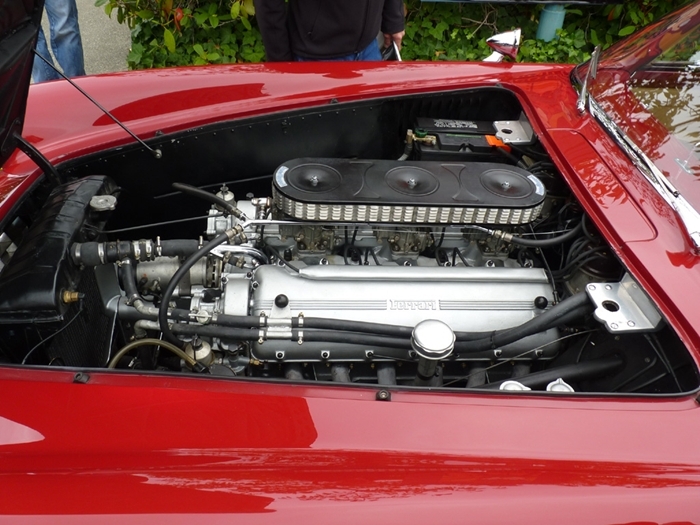 The Superamerica was one of about 60 cars in the Ken and Patty McBride collection, many of which are Concours winners, including multiple awards at Pebble Beach. 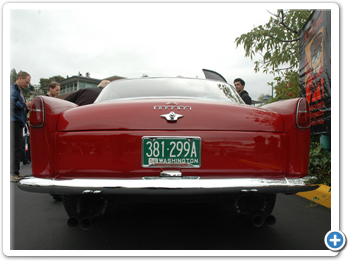 “I take care of the cars,” said Knudson. “I keep them running and pull the engines and rebuild them if they need it. 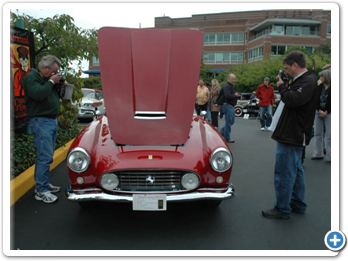 Jim Emmi does all the buffing and cleaning and makes sure that they shine. 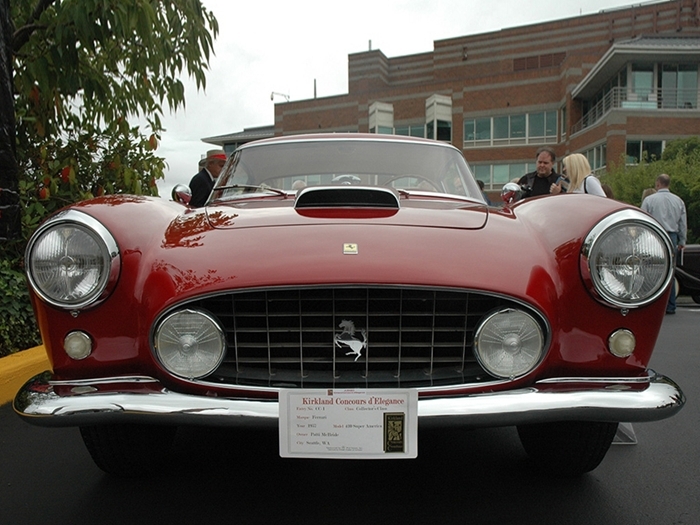 The Superamerica has been in the McBride collection for over eight years. This book dedicates a whole chapter to each of Ferrari’s 60 years in existence. Each chapter focuses on the most important event of that year, whether this be a motorsport achievement (Schumacher’s first World Championship with Ferrari, in 2000), the launch of a landmark road car (the Daytona, in 1968) or a significant moment of human interest (the death of Enzo Ferrari, in 1988). Heavily illustrated and handsomely designed, this book is a must for all Ferrari enthusiasts. Ferrari Legends presents 40 of the most remarkable and significant Ferraris from the marque’s history. Featuring an engaging study of the company’s origins and development, concise descriptions of each car’s background, design and performance, and unrivalled images by one of the world’s foremost car photographers, this book is a spectacular celebration of the passion and brilliance behind this coveted marque. 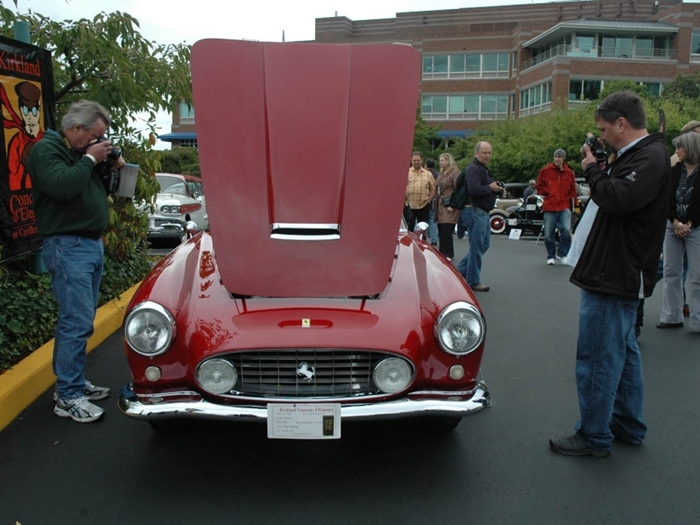 The Little Book of Ferrari tells the story of one of the world’s most iconic cars. 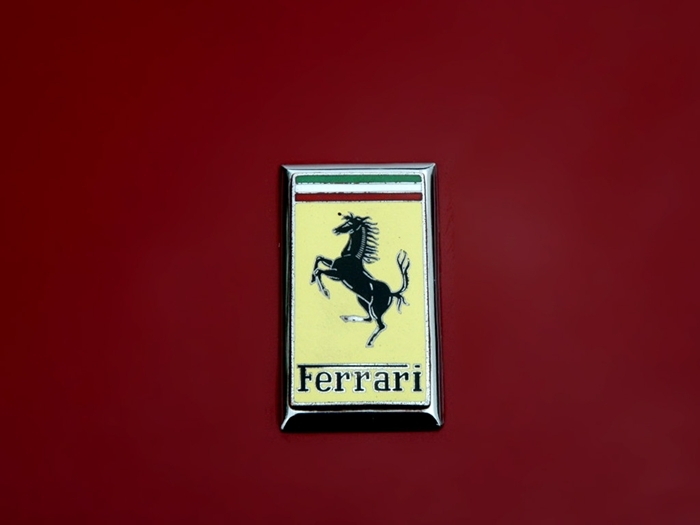 The story looks at the birth of Ferrari with an insight into the man behind the legend ‘Enzo Ferrari’. This is a must for motoring and Ferrari fans and a fascinating read. From the greatest automobile racing team in the world, Inside Ferrari is an exclusive and intimate report from inside Formula One’s most successful, most alluring and most secretive racing team. 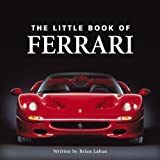 This book provides a rare glimpse into the world-famous Ferrari factory, onto the Ferrari test track and inside the Ferrari garage. The book captures what it takes to be one of the world’s great sports teams. Exquisitely illustrated, Ferrari: Stories from Those Who Lived the Legend tells the complete story of a car like no other. Sixty years after Ferrari blazed onto the scene, this big book takes us back to the world where the car was created. 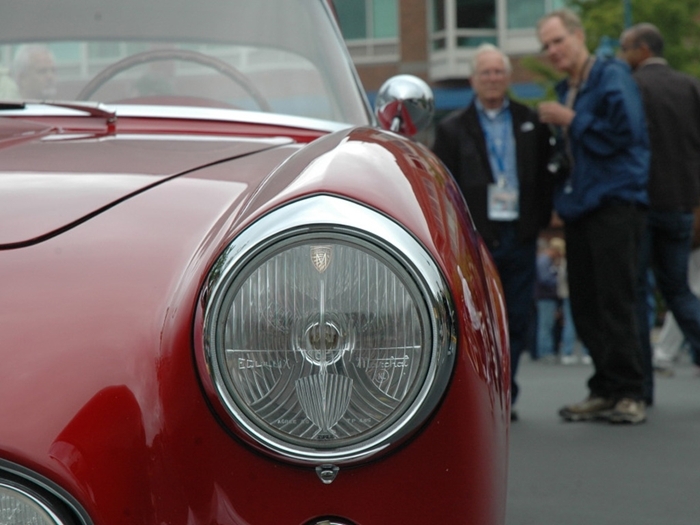 Master photographer and automotive writer John Lamm tells the Ferrari story through the words of the people who made the history. 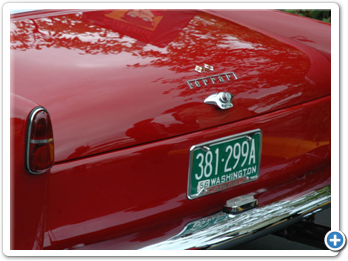 In extensive interviews with those who lived the story of Ferrari, from its founding days right up to our own, Lamm gives us a thrilling, behind-the-scenes look at how automotive history was made. This imposing work is subdivided in two large sections. The technical part is by Karl Ludvigsen and details the technological innovations introduced by Ferrari from 1947 up to now; the historical part is by Gianni Cancellieri and recalls, decade after decade, Ferrari’s history from the industrial, sport and human viewpoint. 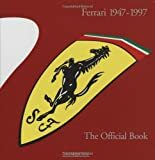 The appendix includes the silhouettes of all the cars built by Ferrari, the list of the men that in these fifty years have contributed in building the myth of the Prancing Horse. This is a book of contemporary road and comparison tests, specification and technical data, model introductions, driver’s impressions and background. 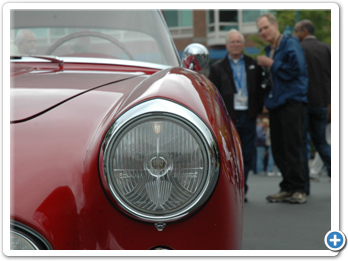 Models covered include: 125S, 166, 166 Mille Miglia, America, Inter, Export, 212, 212 Inter, 250 Mille Miglia, 340 Mexico, 375 America, 250 Europa, 500 Mondial, 750 Monza, 750S, Testa Rossa, Super Fast, 290. 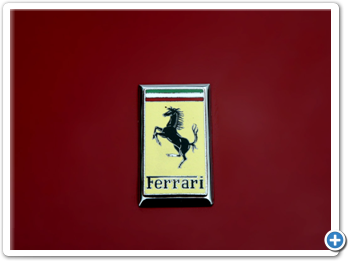 An excellent dramatization of the life of Enzo Ferrari, race-car driver, business executive, and founder of the Ferrari corporation. The History of Motor Racing 1950’s “A Golden Decade” by Duke Video. Stereo. 132 Minutes Long. Awesome DVD!